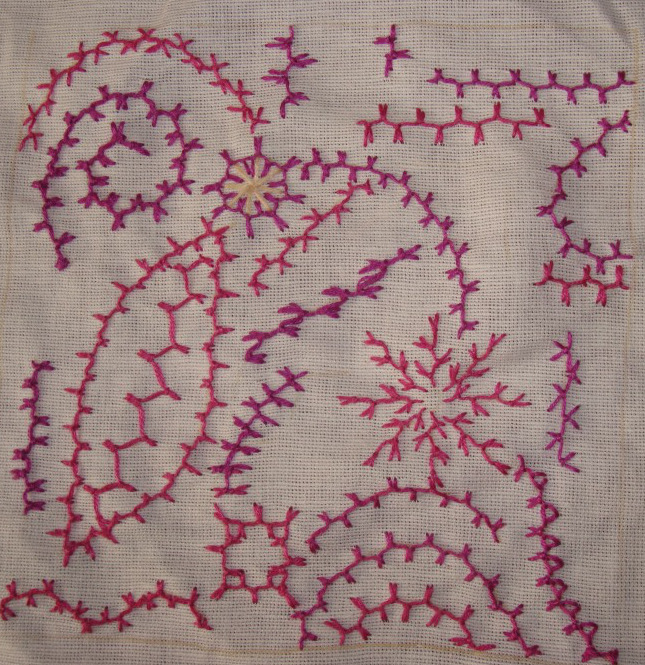 This stitch was worked on all the lines and shapes in magenta. Cotton skeins were used. 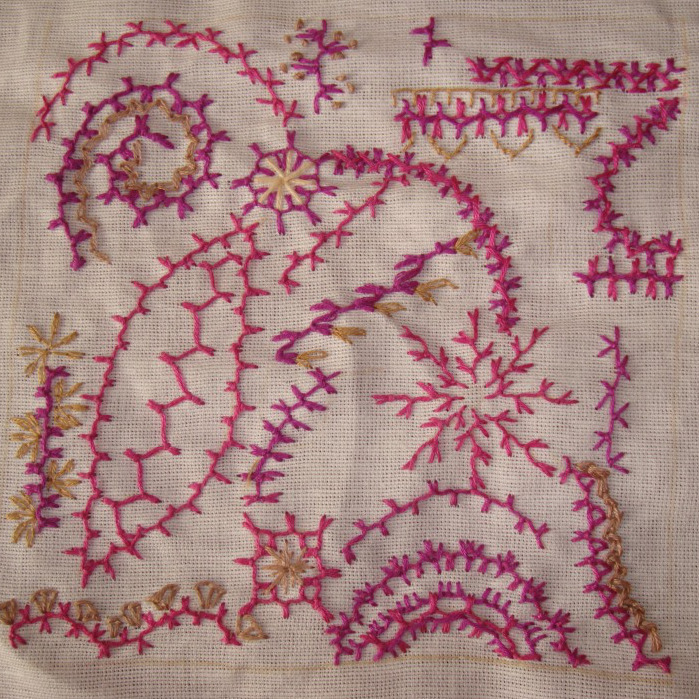 The next colour beige was used to work other stitches –zigzag chain, Algerian eye, quarter buttonhole, long tailed chain, buttonhole, detached chain, french knots. Green threads for further building of stitches. 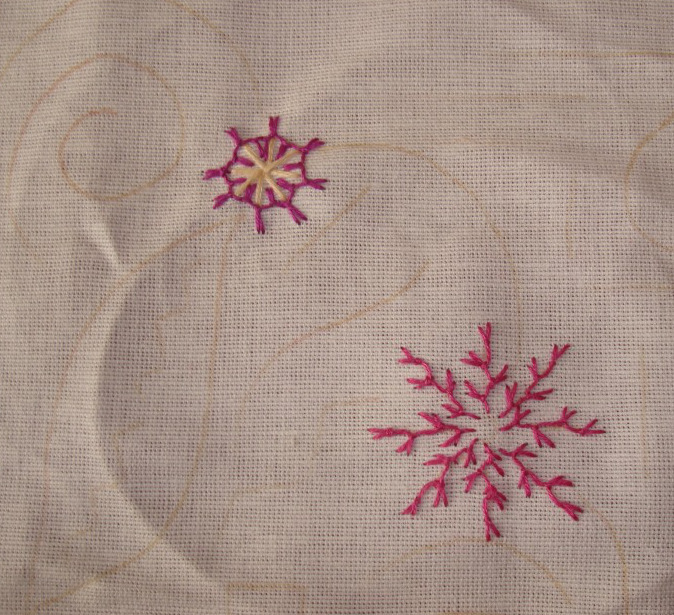 Though some stitch combinations were worked on this piece, it does not give full satisfaction. It may be any one of these reasons. The combination is not interesting? Not being able to comprehend the reason?